Jeff Leiden, chief executive of Vertex Pharmaceuticals. The Massachusetts Competitive Partnership has focused much of its attention on the state’s digital health sector. Now, the group of high-powered CEOs is passing the baton to Charlie Baker. The governor last week convened a crowd of more than 30 local health care leaders — startups, hospitals, and insurers were all represented — in his new Digital Healthcare Council. The point person in this handoff? 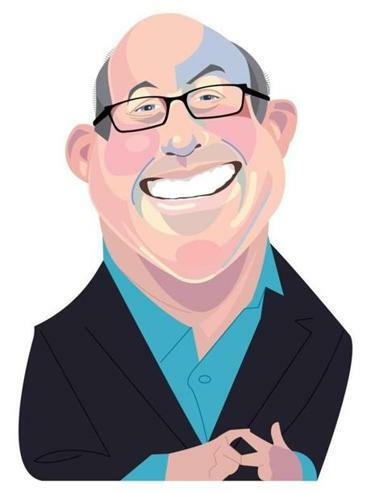 Vertex Pharmaceuticals CEO Jeff Leiden, who has led the Partnership’s digital health efforts for the past three years. Leiden will oversee the new council, alongside cochairwoman Katie Stebbins, Baker’s assistant secretary of innovation and technology. Leiden said he sees digital health as a way to capitalize on the state’s strengths in life sciences, analytics, and technology, as well as its deep bench of universities and investment firms. The goal is nothing short of ensuring that the state emerges as the clear leader in this emerging field. The full group will meet quarterly, Stebbins said, and state officials will work together in the interim to keep the conversations going. Stebbins said Leiden’s position as cochairman won’t be merely symbolic. Leiden’s proud of what the Partnership has accomplished. Examples: a state tax credit for angel investors, a startup incubator run by MassChallenge in the Fenway, a venture capital fund overseen by an affiliate of investment bank Leerink Partners. A half-dozen large murals that once decorated the lobby of MIT’s Sloan School of Management have been relocated to the Ohio hometown of “Make Way for Ducklings” author Robert McCloskey, who worked on the paintings before he was famous. MIT officials removed the murals in 2013 during renovations at Sloan. They were placed in storage, in need of restoration and a permanent home. A Globe story about the murals this summer caught the attention of officials in Hamilton, Ohio, where McCloskey grew up. MIT donated the paintings to the city, which plans to restore and eventually display them. They arrived on a moving van earlier this month. The murals, which depict everyday scenes of Depression-era Boston, were not considered great works of art. But they’re a tangible link to “Ducklings,” which traces a wayward fowl family’s tour of notable Boston sights in search of a new home. The Lever Brothers Co. commissioned the murals for its Cambridge headquarters around 1939. McCloskey, a mostly unknown artist living in New York, traveled to Boston to work as an assistant on the project. When the job was finished, he returned to New York, an early draft of “Ducklings” in hand. The son of a milkman and a stay-at-home mom, Steve Tocco didn’t have much money as a kid growing up in Malden. But he had something more important: a tight-knit family, anchored by his parents and four siblings. That’s one reason the prominent lobbyist wanted to help the Elizabeth Stone House after hearing about it some 15 years ago. His interest grew the more he learned about its mission, and the struggles it faced. The Roxbury-based nonprofit provides shelter and services to families affected by domestic violence, substance abuse, mental health issues, and homelessness. Maryann Civitello, a partner at law firm Mintz Levin, is the president of the Elizabeth Stone House’s board and introduced Tocco to the nonprofit. (Tocco is chairman of Mintz Levin’s lobbying arm, ML Strategies.) Soon, Tocco was helping raise money — and raising the nonprofit’s profile in Boston’s business community. Those efforts culminated in a fund-raising event held at the Lenox Hotel a few weeks ago, in Tocco’s honor. The event attracted some $170,000 in donations for the nonprofit’s capital campaign to build a new Roxbury facility, a $20 million project. The Elizabeth Stone House’s mission, Tocco said, has always resonated with him; he appreciates the importance of a stable home life. In the nonprofit sector, where budgets are often tight, professional development can be scarce. One place that provides that kind of training is the Needham-based Institute for Nonprofit Practice, which offers leadership development for nonprofit executives. Until recently, though, its classes were held only in Boston, Lowell, and Providence, making it tough for leaders in farther-flung areas to attend. That changed this month, when INP began offering training in Hyannis to make it more convenient to nonprofits on the Cape and Islands. Classes are held near the Hy-Line Cruises terminal so participants who live or work on Martha’s Vineyard or Nantucket can easily catch a ferry to and from. The program, which runs through May, has also been redesigned to reduce commuting time, consolidating several days of classes into one, and allowing more participation by phone or Skype. The Cape participants include the following executive directors: David Kuehn of the Cotuit Center for the Arts, Kristin O’Malley of the Cape Cod Foundation, Barbara Cotton of the Cape Cod Children’s Museum, and Julie Wake of the Arts Foundation of Cape Cod.